Richard Hannay has just returned to England after years in South Africa and is thoroughly bored with his life in London. But then a murder is committed in his flat, just days after a chance encounter with an American who had told him about an assassination plot which could have dire international consequences. An obvious suspect for the police and an easy target for the killers, Hannay goes on the run in his native Scotland where he will need all his courage and ingenuity to stay one step ahead of his pursuers. 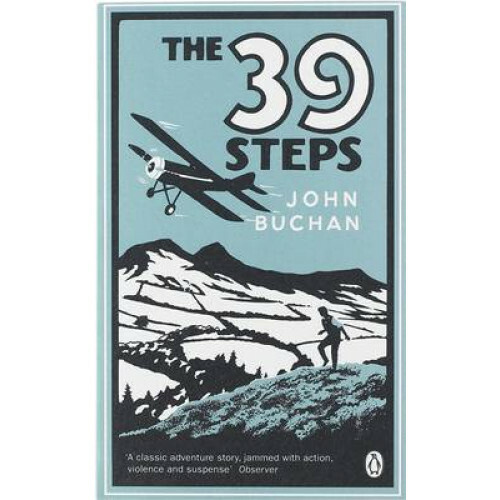 John Buchan (1875-1940) was born in Perth, Scotland and educated at Oxford where he published five books and won several awards, including one for poetry. He went on to be a barrister, a member of parliament, a soldier, a publisher, a historical biographer, and - in 1935 - he became the Govenor-General of Canada. Today he is best remembered as the author of his perennially popular adventure novels. Sir John Keegan is a world-renowned historian of the First World War. His books include The First World War (Pimlico), A History of Warfare (Pimlico), and a biography of Winston Churchill (Weidenfeld & Nicholson, November 2003).